The UN has reported that 7.3 million underage girls are forced into marriage every year around the world. 12 percent of these girls are Afghans. In Afghanistan, 57 percent of girls are married before the age of 19, about 40 percent are married at an age between 10 to 13 years, 32 percent at age 14, and 27 percent at age 15. More than half the girls in Afghanistan are married before the age of 19, about 40 percent are married at an age between 10 to 13 years, 32 percent at age 14, and 27 percent at age 15. These are the findings of the UNFPA which were published in a report titled “Invest in Teenage Girls for a More Just, Stable and Peaceful World” on the World Population Day. 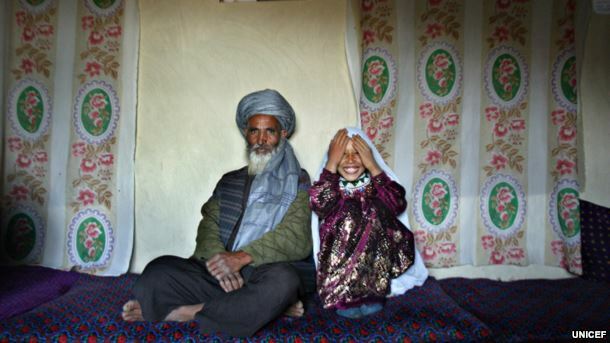 According to the AIHRC, poverty, harmful customs and traditional practices, insecurity, and the culture of impunity, are the main reasons for increasing rates of coerced and underage marriages in Afghanistan. Bannet Ndyanabangi, UNFPA representative in Afghanistan, warned that early marriage perpetuates the cycle of poverty, gender inequalities, and other difficulties within the society, and called for more support from the government for girls. In addition, lack of access to education and healthcare, and social problems such as street harassment, are among the difficulties Afghan girls face. The UN has reported that while women and girls make up half the population of Afghanistan, only 17 percent of them make up the government. Of the 300 thousand boys and girls enrolled in Universities, only 65 thousand are girls. This means that if the current trend continues, almost 4 out of 5 girls will never have the opportunity to continue education. Mr. Rahimi said that the Afghan government is making efforts to increase the role of women in the government to 50 percent by 2030. One of the main problems of girls in Afghanistan is limited access to education. Currently, 3.5 million children, mainly girls, do not have access to education. 39 percent of a total of 9.2 million school students, and 20 percent of 300,000 university students are females. The EVAW bill which recognizes child marriage as a crime and allows its perpetrators to be legally prosecuted has been stuck in the Parliament for the past few years. 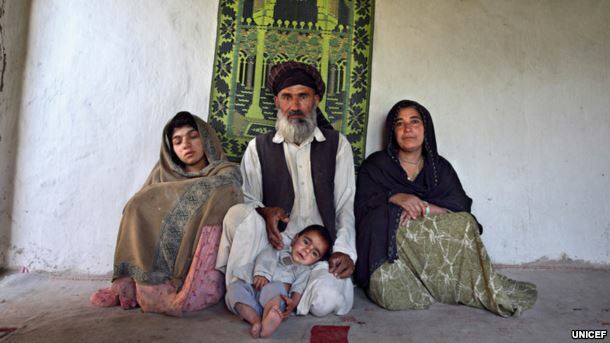 55-year-old Said Mohammad with his 11-year-old wife, Roshan. 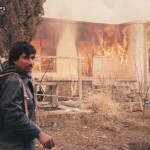 Said Mohammad has three sons and one daughter from his first wife.